Dallas, Texas – May 3, 2018 – Women That Soar, LLC, a Dallas-based media company, added Dr. Nashwa Al Ruwaini to its Executive Board. Dr. Al Ruwaini is currently the CEO and Board Member of Pyramedia Productions, CEO of Delma Medical Centre and Spa, and CEO of the Nashwa Charity Foundation. In her role with WTS, Dr. Al Ruwaini will help grow WTS’ Middle Eastern market, while also contributing to the establishment of WTS as global brand. As a member of the International Academy of TV Arts and Sciences and Co-Founder and Board Member of the Abu Dhabi Film Festival, Dr. Al Ruwaini will bring a wealth of industry expertise to WTS. “It is an honor and privilege to have Dr. Nashwa Al Ruwaini join our Board. Her leadership, knowledge and media experience will help WTS foster new opportunities and partnerships that will expand our growth in the Middle Eastern market”, Gina Grant, CEO and Founder of WTS. Dr. Al Ruwaini began her career on Qatari radio before becoming the youngest Arab woman on TV where was a presenter on Qatar TV. She then became a household name on MBC and Dubai TV where she had her own shows and was dubbed “The Oprah Winfrey of the Middle East” because of her ability to discuss topics boldly, fearlessly and with no boundaries. She was also a major contributor to the establishment of MBC Group into the powerhouse that is today after setting up MBC Egypt which is still very popular today and where she produced award winning shows for the channel. In 1998, she established her own production company, Pyramedia, which is now one of the largest of its kind in the region, which has produced popular TV shows in the UAE such as Million’s Poet and The Prince of Poets which have all been dedicated to the preservation of UAE culture and poetics. Among her long list of accolades was being selected this year among the Most Influential People in the UAE by Arabian Business Magazine. This follows being listed as one of the 100 Most Powerful Arab Women in 2011-2015 also by Arabian Business. Last year she was listed among Top 100 Most Powerful Arab Businesswomen in Forbes Magazine again and Most Powerful Women to Watch in 2012 and Top 50 Most Powerful Business Women in the Middle East 2005, 2008 and 2014 also by Forbes. The media company will continue to produce its signature “Women That Soar,” Awards, which recently aired in more than 10 markets March-April 2018. In addition, WTS will continue to produce year-round inspiring and empowering content and events for women. WTS is a Dallas-based media and content development company founded in 2007 by Gina Grant, CEO. The company produces content and events geared towards empowering and inspiring women to soar personally and professionally. Dallas, Texas (October 28, 2016) – Amy Poehler, the Emmy and Golden Globe-winning actor, writer and producer and veteran television producer, Meredith Walker will be honored with the Digital Media Award for “Amy Poehler’s Smart Girls” at the 8th Annual Women That Soar Awards at the luxurious Fairmont Hotel in Dallas, Texas on Sunday, Nov. 13, 2016. The Women That Soar Awards honors a diverse group of women from around the world for their personal and professional journeys to success. This year’s star-studded event is hosted by Entertainment Tonight’s Kevin Frazier. A partial list of celebrities scheduled to appear include comedian Heather McDonald, producer, writer and casting director, Reuben Cannon, Grammy-nominated artist Wynonna Judd, R&B artist Leela James and multi-award winning R&B group En Vogue. Announced by Women That Soar’s Founder and CEO Gina Grant, this year’s Digital Media Award will be given to Walker and Poehler, known for her popular television role on Parks and Recreation and Saturday Night Live, for their organization’s work to help young people cultivate their authentic selves. Along with Poehler and Walker, other 2016 honorees include Wynonna Judd, Catherine Monson, Dr. Jan Spivey Gilchrist, Dr. Nashwa Al Ruwaini, Nina Vaca, Terry Bentley Hill, Dr. Daphne McQuarter, Maya Watson, Anita Hawkins, Monica Martinez and Quynh Chau Stone. Past honorees include former First Lady of Mexico Marta Fox, Her Royal Highness Princess Reema Bandar of Saudi Arabia, actress Sherri Shephard, House of Deréon’s Tina Knowles, Sacramento Kings Assistant Coach Nancy Lieberman, former White House Counsel Harriet Miers and many others. On December 11th, the show will be televised in prime time in Dallas, Los Angeles, Miami and Atlanta. The show is open to the public. Tickets can be purchased online at www.womenthatsoar.com. Founded in 2007, Women That Soar is a Dallas-based media and content development company. The company produces and licenses empowering and inspiring content ‎for women, for broadcast, digital and live events. Women That Soar produces the only televised awards show that reaches women from all social and racial backgrounds and cultures. Dallas, Texas (September 30, 2015) – The Women That Soar Media (WTS) launched in 2007 as a local gala honoring women throughout the State of Texas. The event honored women for their personal and professional stories and journeys to success. After five successful years of hosting a local gala, the company entered an agreement In 2012, with CBS 11 and TXA 21 for a joint production deal and televised the Women That Soar Awards. An awards show honoring women from diverse races and professional backgrounds. It’s about each woman’s personal and professional journey of overcoming obstacles and Soaring to success. It was the first televised awards show ‎in Dallas, Texas. After eight years in business, WTS has grown into a multimedia company, producing content, events and retreats that are female focused. With the growth of women leaders in the work place, media, politics and our communities, it’s the time of the woman. On November 12, 2015, WTS will host part two to its “Women In Media” event. It’s a luncheon with powerful women leaders in media such as, Katy Murphy Davis, former Sr. Producer of Oprah Winfrey Show and founder and creator of Oprah’s Angel Network along with Angela Molloy, Sr. VP of Development for WETV. The two women will share their stories and journey of building a career in media, as well as, provide advice on how to establish a career in media/entertainment; build a solid brand/media platform; content; licensing and events with a purpose. The luncheon will take place in Dallas at Chocolate Secrets located at 3926 Oak Lawn, Dallas, Texas 75219 from 11:30 to 1:30pm. The luncheon is $30.00 dollars per person and open to the public, but seating is limited. All guests must RSVP to Keena Williams at eventsbykeena@gmail.com. Kristin Meekhof was 33 years old when her husband of four years, Roy (a teacher and veteran), died of advanced adrenal cancer, just eight weeks after he was diagnosed. Meekhof soon realized what most widows come to find—at the very moment you are stripped of your life partner and left numb and grieving, you must make crucial decisions that will affect the rest of your life. Finances, family alliances, estates, legal matters, sudden single parenthood, career changes—widows are in no mental state to grapple with these challenges and yet they must. They need a blueprint that spells out exactly what to do. 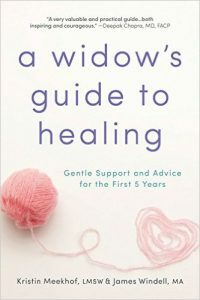 A Widow’s Guide to Healing: Gentle Support and Advice for the First 5 Years (ISBN: 9781492620594; NOVEMBER 3, 2015; $14.99 U.S.; Trade Paper; Self-Help) takes those who have lost their spouse through the practical challenges of widowhood while providing comfort and advice from more than 100 other widows, ages 25 to 80, who were interviewed by Meekhof and her coauthor James Windell. 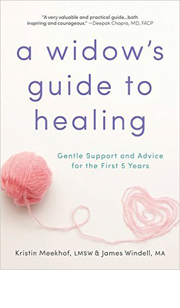 A Widow’s Guide to Healing highlights a sisterhood of women from a wide range of backgrounds who reassure other widows they are not alone and they can reclaim something they thought might be lost forever…hope. KRISTIN MEEKHOF, LMSW, is a regular contributor to The Huffington Post, MariaShriver.com, Psychology Today, and other media outlets. Within days of her birth, she was abandoned on the streets of Seoul, Korea, and adopted by her parents, who lived in Michigan. When she was nearly five, her adoptive father died from complications related to cancer. Meekhof graduated from Kalamazoo College with a major in psychology and completed the master in social work program at the University of Michigan. She currently works as a clinical social worker. JAMES WINDELL, MA, is a psychologist, bestselling author of parenting books, college professor, and former newspaper columnist. He has written 26 books and his work has been featured in numerous national and local media outlets, including The New York Times, The Chicago Sun Times, and more. 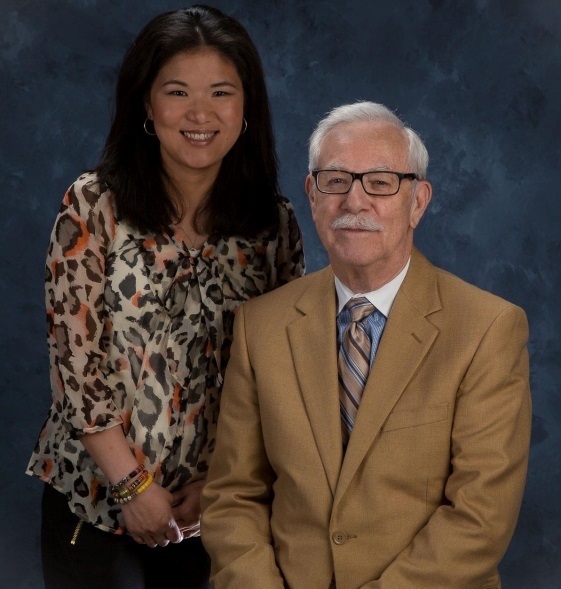 He currently works as an adjunct instructor at Wayne State University and Oakland University. Dallas, Texas. (October 9, 2013) – Women That Soar, LLC will celebrate legendary women in business, sports, media, philanthropy, arts, fashion and global activism at the televised Women That Soar Awards show being held Saturday, November 9, 2013, from 6:00 pm to 9:00 pm at the luxurious Hyatt Regency in Dallas, Texas. The show is produced by Atlanta-based production team Sun Seeker Media, producers of the Soul Train Music Awards. The 2013 Women That Soar Awards honorees include: Her Royal Highness, Princess Reema Bandar; Former First Lady of Mexico, Marta Fox; Former President WNBA, Donna Orender; Entreperneur and Stylist, Aly Scott; Designer, Paulette Martsolf; Philanthropist, Anne Davidson; CEO of Ewomen Network, Sandra Yancy; activist, Cheryl (Action) Jackson; Executive Producer, A&R Executive, Teresa Lababera-Whites; Group Publisher, D Magazine, Kimberly Elenez; Attorney, Dawn Neufeld; and Legacy Award Recipient Nell St. Cyr, first female president of the Houston Petroleum Club. The Women That Soar Awards began in 2007 to honor extraordinary women in entertainment, sports, business, fashion, arts, philanthropy, media, civic, as well as, a Legacy award. The awards show is simple, yet powerful; a televised awards show that honors and unites a diverse group of women to tell their story; to empower and inspire women to soar and live brilliant lives. This marks the sixth annual year for the awards show and the second year the show will be televised. The show will broadcast on TXA 21 and CBS 11 on December 15, 2013 with a second airing to be determined. The festivities will begin with the annual honorees luncheon, hosted by Joshua Frenk, Mary Ann Thompson-Frenk, and Yvonne Crum, November 8, 2013, at the Venetian Room, located in the Fairmont Hotel. The black-tie televised awards show will tape November 9, 2013, at the Hyatt Regency Hotel. There will be a red carpet cocktail reception hosted by Maria C. Jeff Brown, CEO of Glitzy Glam Cocktails from 6:00 pm to 7:00 pm, with dinner and awards show to follow. This will be a star-studded show with appearances by Michelle Williams, former member of the Grammy-award winning group, Destiny’s Child; Emmy nominated actress, Cara Buono, of Mad Men; actress, Regina King, of the Big Bang Theory and TNT’s Southland; Gospel Recording Artist, Wess Morgan; Ebony Steele, co-host of the syndicated Ricky Smiley Morning Show; Egypt Sherrod, Host of HGTV’s Property Virgins; Javier Palomarez, President and CEO of the United States Hispanic Chamber of Commerce; Nina Vaca, CEO and Chairman of Pinnacle Technical Resources; Jan Miller, Literary Agent with Dupree Miller & Associates and many more. The organization will also donate a portion of the ticket sales to the Memnosyne Foundation. Founded in 2005, Women That Soar, LLC is a media and content development company with four-tier platform that allows advertisers and sponsors to tap into the fast growing female market. Women That Soar, LLC is built on a solid foundation and reaches an audience of women between the ages of 25-55 who are professionals, taste masters and trendsetters. For more information, visit www.womenthatsoar.com or to purchase tickets, phone 469-994-7409. Dallas, Tex. (March 18, 2013) – Women That Soar, LLC will celebrate its launch in Houston, Tex. with a luncheon featuring legendary global activist, socialite and author Joanne King Herring with guest speaker Katrina McGhee, CEO and blogger for Loving On Me. Women That Soar, LLC is a media and content development company created to produce inspiring content and events for women worldwide. The luncheon takes place April 24, 2013 from 11:30 a.m. to 1:30 p.m. at the River Oaks Country Club, located at 1600 River Oaks Blvd in Houston. The event aims to create awareness of the new organization in the Houston market, recruit host committee members and promote the organization’s signature televised show, The Women That Soar Awards. The Women That Soar Awards began in 2007 to honor extraordinary women in entertainment, sports, business, fashion, arts, philanthropy, media, and civic health as well as Lifetime Achievement and Legacy awards. This year’s event takes place Saturday, Nov. 9, 2013 from 6 to 9 p.m. at the Dallas Fairmont Luxury Hotel. This is the sixth year for the awards show and the second year that the show will be televised. The show will broadcast on TXA 21 and CBS 11 with times and dates to be determined. The 2013 Women That Soar Awards honorees include: Her Royal Highness, Princess Reema Bandar; Former First Lady of Mexico, Marta Fox; actress and activist, Sheryl Lee Ralph; philanthropist, Anne Davidson; CEO of E-Women Network, Sandra Yancy; and other others. Women That Soar will also donate a portion of the ticket sales to two charities: the World Affairs Council of Dallas/Fort Worth and the Memnosyne Foundation. For more information about the organization and events, contact Gina Grant, CEO of Women That Soar, at 469-994-7409 or email gina@womenthatsoar.com . Dallas, Texas (Oct. 22, 2012) Women That Soar, LLC, will host the Fifth Annual Women That Soar Awards, November 10, 2012, at the Music Hall Fair Park, 900 1st Avenue in Dallas, Texas. This year marks the first time that it will be televised. It will air on TXA 21 Sunday December 9 from 7 to 9pm and again on CBS 11 Sunday, December 16. The Women That Soar (WTS) Awards, launched in 2007 by CEO Gina Grant, the show honors women for their personal and professional journeys to success. The one-of-a-kind event is not just another awards show. It’s truly a celebration of the accomplishments of women. It’s about our journey, our trials, tribulations and triumphs to success. This simple, yet powerful, awards show honors and unites a diverse group of women, while empowering and inspiring them to soar and live brilliant lives. The WTS Awards provide a platform to honor women and share their compelling stories of overcoming personal and professional challenges as they are now soaring and empowering other women. The show will be hosted by Joey Fatone, formerly with N’Sync and now on DWTS. The evening will open with red carpet interviews conducted by the CBS 11 on-air team, along with a star- studded cast and incredible unsung heroes. It will combine incredible entertainment, compelling accomplishments, and powerful vignettes to tell the stories of amazing women. Women That Soar will honor women in (10) distinct fields of human endeavor. Some of the 2012 Women That Soar honorees and unsung heroes include: Joanne Herring, Sheriff Lupe Valdez, Mina Chang, Yvonne Crum, Debbie Dudley Branson, Dina Dwyer-Owens, Katrina McGhee, Wendy Lewis, Dornith Doherty, Cathy Vieth, Maggie Sova and many others. Some of the awards show presenters will include: Senator Royce West, Sharon Robinson (daughter of the late Baseball Hall of Famer Jackie Robinson) LeeAnne Locken, Terri Provencal, Dawn Neufeld, Mary Ann Thompson-Frenk, and many others. The WTS Awards bring legendary female artists together with powerful musical performances, on one stage, for one night, with one goal: To empower, inspire, honor and celebrate the accomplishments of women. A portion of all ticket sales will go to the Memnosyne Foundation and Women Called Moses, a local charity helping women who are victims of violence and abuse. For more information, visit www.womenthatsoar.com or to purchase tickets, phone 469-994-7409. Dallas, Texas (June 12, 2012). On November 3, 2012 at 7:00 p.m., Women That Soar, LLC (“Women That Soar”) will host its Fifth Annual Women That Soar Awards (the “WTS Awards”) at the Music Hall at Fair Park (the “Music Hall”) located at 909 1st Avenue in Dallas, Texas. The WTS Awards, launched in 2007 by Women That Soar’s CEO, Gina Grant, honors women for their personal and professional journeys to success! Now, in its fifth year, this one of kind event will be televised on CBS 11 and TXA 21 to educate and inspire a broader audience. The WTS Awards Show is simple, yet powerful; a televised awards show that honors and unites a diverse group of women while empowering and inspiring them to soar and live brilliant lives. It’s not just another awards show; it’s truly a celebration of the accomplishments of women. The WTS Awards provide a platform to honor the compelling stories of women who’ve overcome both personal and professional trials and are now soaring and inspiring other women. The evening opens with red carpet interviews conducted by CBS 11 Entertainment Reporter, Sandie Newton, along with a star-studded cast, and incredible unsung heroes. It’s a combination of incredible entertainment, compelling accomplishments, and powerful vignettes telling the stories of amazing women. Women That Soar will honor women in seven (7) distinct fields of human endeavor comprised of the following categories: entertainment, sports, business, fashion, arts, philanthropy, and civic awareness, along with both a Legacy and Life Time Achievement Award. In addition, Women That Soar will be raising funds for both a local and an international non-profit by donating a small portion of the ticket proceeds. The local Dallas non-profit for 2012 is, “The Black Academy of Arts and Letters” TBAAL is a multi-discipline arts organization whose mission is to create and enhance an awareness and understanding of artistic, cultural and aesthetic differences utilizing the framework of African, African-American and Caribbean Arts and Letters. Additionally, its purpose is to promote, foster, cultivate, perpetuate and preserve the Arts and Letters of Africans, African-Americans and Caribbean in the Fine, Literary and Performing Arts. Women That Soar’s international outreach for 2012 this year will be to “The Memnosyne Foundation” which works to help the diverse people of the world consciously encourage an evolution for themselves and for future generations by providing mankind with the means to encourage positive, peaceful global collaboration in areas of knowledge. Memnosyne has programs around the world organized around seven centers: Center for Interfaith Inquiry, Center for Environment, Science & Economics, Center for Indigenous Cultures, Center for Global & Local Outreach, Center for Health & Medicine, Center for Spirituality, Center for Arts. Memnosyne’s Co-Founder/President, Mary Ann Thompson-Frenk explains, “As a past recipient of the WTS’ Philanthropy Award, I can express firsthand why this organization is so outstanding! Within the first weeks of joining WTS, connections led to providing three buildings for Memnosyne’s clinic program benefitting the Mayan midwives throughout the Yucatan. Each of whom now has a minimum of fifteen students of their own, as well as a classroom which now serves as the major center for education for countless children! The WTS Awards bring legendary female artists together with powerful musical performances, on one stage, for one night, with one goal: To empower, inspire, honor and celebrate the accomplishments of women. The WTS Awards provide real answers to the everyday challenges of women while celebrating each woman’s journey. The timing is perfect. Demographically, socially, and politically, it is the era of the “woman”. Please join us in celebrating her! About Women That Soar, LLC – Founded in 2005, Women That Soar, LLC is a multi media company with a four-tier platform that allows advertisers and sponsors to tap into the fast growing female market. Women That Soar, LLC is built on a solid foundation and reaches an audience of women between the ages of 25-55 who are professionals, taste masters and trendsetters. For more information, please visit us at www.womenthatsoar.com or contact us at 469-994-7409. DALLAS, Texas (November4, 2011) – On Thursday, November 17, 2011, Saks Fifth Avenue and Women That Soar will host a luncheon and informal fashion show in honor of the 2012 “Women That Soar” honorees and host committee. The event is produced by Harriet Kelly Gibbe, President of Model Citizen and honors women who have achieved outstanding personal and professional accomplishments. The luncheon will be held at the Saks Fifth Avenue Galleria store in Dallas, Texas. Women will don their most fashionable attire and be treated to a light lunch, mimosas, wine, informal fashion show, and great social and professional networking. Gina Grant explained, “We are proud to partner with Saks to kick off the “Brilliantly You” luncheon series in Dallas. Our goal is to bring women together via this event in eight majo r markets. We believe women should uplift, empower, and inspire one another. It is about each woman’s journey. It’s about becoming better leaders and wiser visionaries. When we share our stories we embed knowledge and wisdom. Special guest speakers include, Susan Posnick, CEO of Susan Posnick Cosmetics; Janelle Friedman, COO of Friedman and Feiger Law Firm and Yvonne Crum, Civic Leader, Fundraiser and Founder, of Fresh Faces of Fashion. These powerful women will share their inspirational stories about their journey’s and how strength and resilience made them the successful women they are today. The Women That Soar, “Brilliantly You” luncheon is a celebration of the personal and professional journey we all share. It applauds and acknowledges the spirit of today’s woman. “Most importantly,” says Grant, “Brilliantly You” emphasizes the importance of being strong role models for one another. ” The women will be honored at an awards show on Thursday, September 29, 2012 in Dallas. The black tie awards ceremony will also be televised. Women That Soar is a media and content development company developed to create inspiring and empowering content and events relevant to the personal and professional growth of today’s woman. The company is founded by Gina Grant and based in Dallas, Texas. For more information visit: www.womenthatsoar.com or call 469-994-7409. New York, NY (September 2011) – Julia Roberts played her in “Charlie Wilson’s War,” but the real-life Texan is far more interesting than any movie could capture. The international socialite and global political activist Joanne King Herring tells her fascinating continuing story in her own words in DIPLOMACY AND DIAMONDS: My Wars from the Ballroom to the Battlefield (Center Street, Hachette Book Group; October 19; Hardcover Memoir; $24.99) complete with full color photos and black and white inserts throughout. The former Texas television anchor is known for her improbable fight with the mujahedeen against the former Soviet Union. But her full story—with all its God, guns, and Gucci glory—has never been told. Born in a man’s world in a time when women had limited choices, Joanne King Herring blazed a trail with allies as unlikely as Charlie Wilson, Pierre Cardin, and President Ronald Reagan…and in so doing forged new paths for women in Pakistan, Afghanistan, and America. She is doing it again—this time without guns. Joanne has a plan to rebuild Afghanistan one village at a time through food, water, and education. Currently, her Marshall Plan Charities group is building a model village in Northern Afghanistan to prove that an entire village of 10,000 people can be structured for the cost of keeping one soldier in the field for a year. The goal is to bring our troops home and equip Afghanistan to stand on its own. DIPLOMACY AND DIAMONDS is an inspiring account of an American icon that former Secretary of State James A. Baker described as, “a flash of light in a dark world.” Joanne King Herring’s story reminds of us of what is possible when perseverance is mixed with charm. Center Street publishes for the general market in a number of categories including Fiction, Self-Help, Motivation, Health & Fitness, and Memoirs. Center Street has published a number of bestselling titles including books by Ted Dekker, Karen Kingsbury, Elisabeth Hasselbeck and John Maxwell. DALLAS, Texas (April 27,2010) – On Friday, May 28,2010,Joshua Frenk and Mary Ann Thompson Frenk will host an announcement luncheon in honor of the 2010 “Brilliantly You” Awards nominees. The event is produced by Women That Soar and honors women throughout the State of Texas who have achieved outstanding personal and professional accomplishments. The luncheon will be held at the historic Aldredge House located at 5500 Swiss Avenue in Dallas, Texas and will also be hosted by Women That Soar`s founder and CEO, Gina Grant. Aportion of proceeds from donations at the event will benefit Women Called Moses, anon-profit organization that assists women who are victims of domestic violence and abuse, and the Joppa Project, supported by The Memnosyne Foundation. The theme of the luncheon is “Steel Magnolias.” Both, men and women will don their most fashionable Southern attire and be treated to delightful Southern cuisine an Dixie Jazz band entertainment. Special guest speaker and best selling author, Ronda Rich, will share an inspirational story about her journey and how common threads of charm, strength, and resilience are woven carefully through the South’s cultural fabric, weaving together women of all types regardless of socioeconomic status. The Women That Soar 2010 honorees include : Ana Christina Reymundo, editorial director of Nexos Magazine, who will be presented with the “Media Award”, Bobbi Topfer, Board Advisor for the Topfer Family Foundation, with the “Philanthropic Award”. Dine Brierely, philanthropist, with the “Arts Award”, Gail Warrior Lawrence, president an ceo of Warrior Group, with the “Business Award”, Janelle Friedman of Friedman and Feiger Law Firm with the “Civic Award”, Lori White, vice presient of Student Affairs at Southern Methodist University, with the “Education Award” and Fashion Designer Nha Khanh with the “Fashion Award” Attorney Rhonda Hunter will be presented with the annual “Legacy Award.” The Lifetime Achievement Award nominee is TBD. “Brilliantly You” is celebration of the personal and professional journey of women. It applauds and acknowledges the spirit of women. “Most important,” says Grant, “Brilliantly You” emphasizes the importance of each one teaching one. ” The women will be honored on Saturday September 25,2010 at the historic Majestic Theater in downtown Dallas. The black tie awards ceremony will also be honored with special guest, Grammy and Tony Award winning artist Jennifer Holiday.